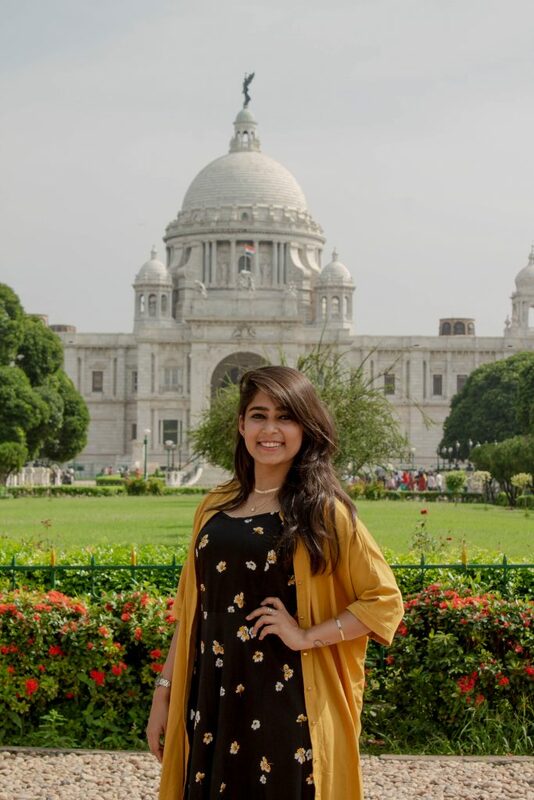 This year Meghalika and I decided to visit the city of joy-Kolkata for my birthday. 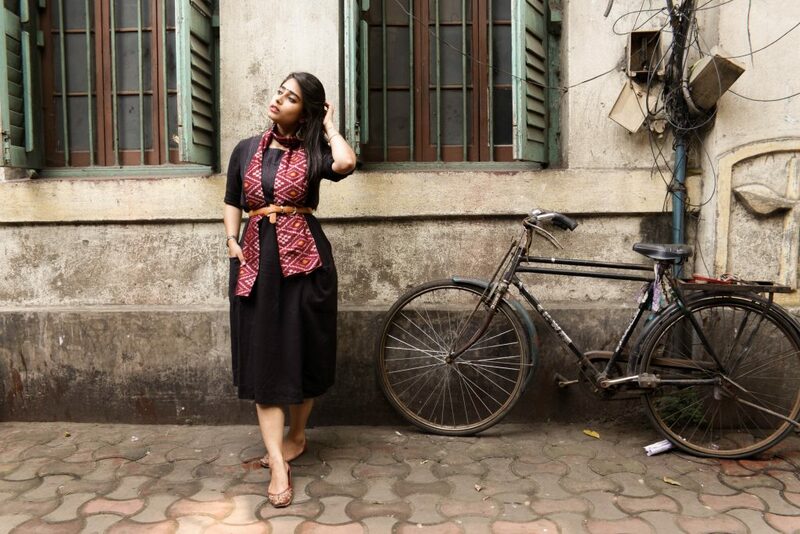 For this blog post sake let’s call it Calcutta, don’t you think it has a certain old charm to it? 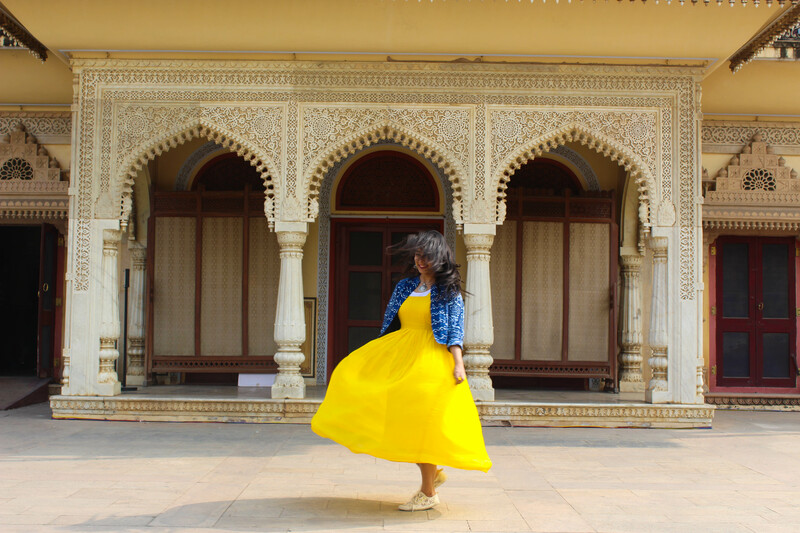 We visited the city for a mere four days and it was not enough to engulf all the quirkiness of the city. 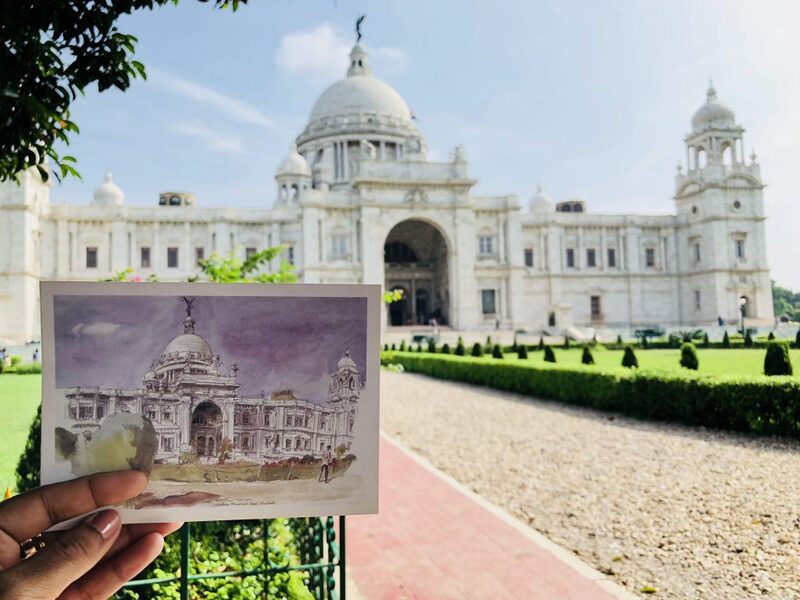 For the people who haven’t visited Calcutta earlier I hope with this blog I can give you some insights. We reached in the morning around 9 a.m and quickly went over to my school friend’s apartment who is a local there and was our accommodation for the next four days. Pragati( school friend) was our designated tour guide for the entire trip. 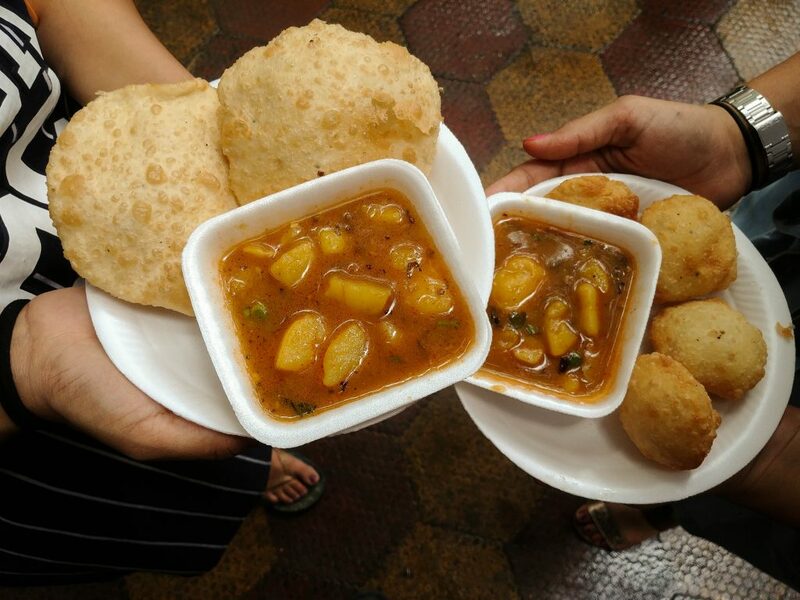 After dropping our bags, we went to the popular eatery in Lake Town, the Sharma Snacks. It is one of the ” need to visit” destination in the city. We ordered the famous kachauri served with runny potato curry followed by idli and puri. After finishing the wholesome breakfast, we ordered kullar Kesar chai. However, the place is not fancy at all, and if you’re someone with Monica Geller instincts, then you’ll have a hard time. But, the food is worth the try! 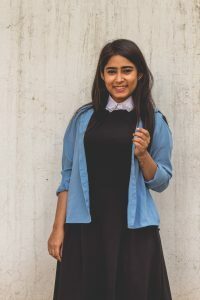 Pragati told me not to expect much from the street market, and she was right about the clothes they didn’t offer much and wasn’t my style. But the market has a lot of junk jewellery and I being a jewellery hoarder, I went crazy! And I burned a hole in my pocket by the end of it. 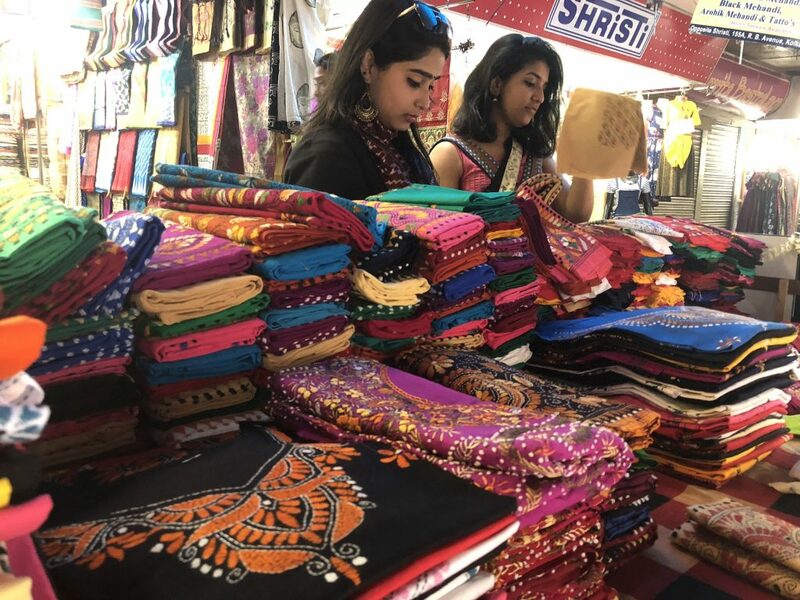 The market has other utility stuff as well and even though the place is bustling with people and the weather is also not in your favour, the only point to remember is to bargain or else the vendors will take you for a ride! 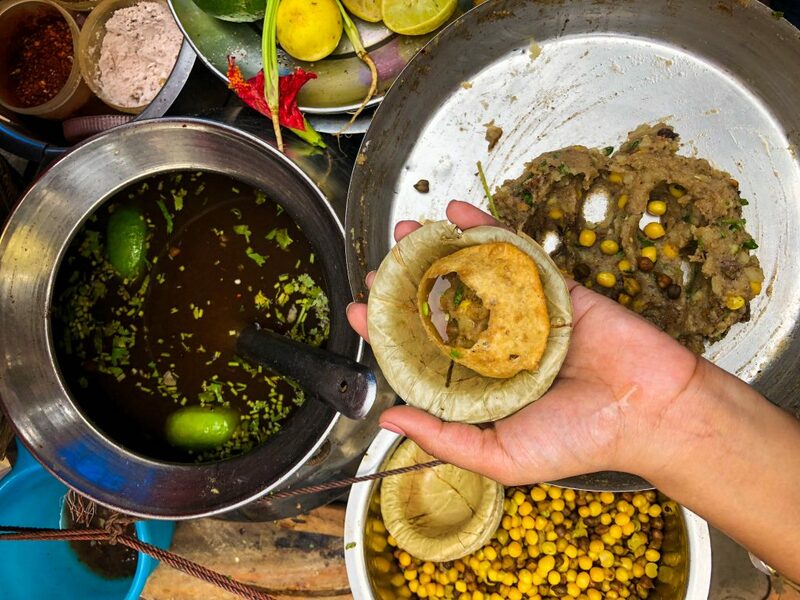 After walking endlessly through the narrow passageway and a million shops, we stopped by a street food vendor and indulged in the Calcutta’s famous puchkas. After all the shopping we headed out for a quick late lunch at this quirky restaurant called Nawwarah. 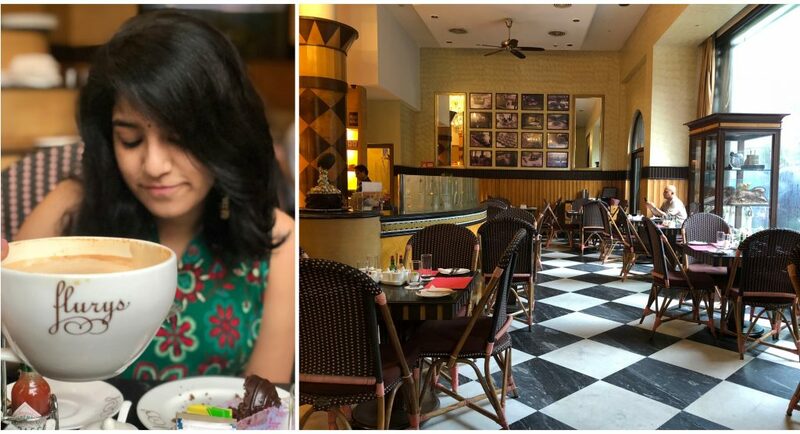 The interiors of the place are to die for, and the food tasted good too. 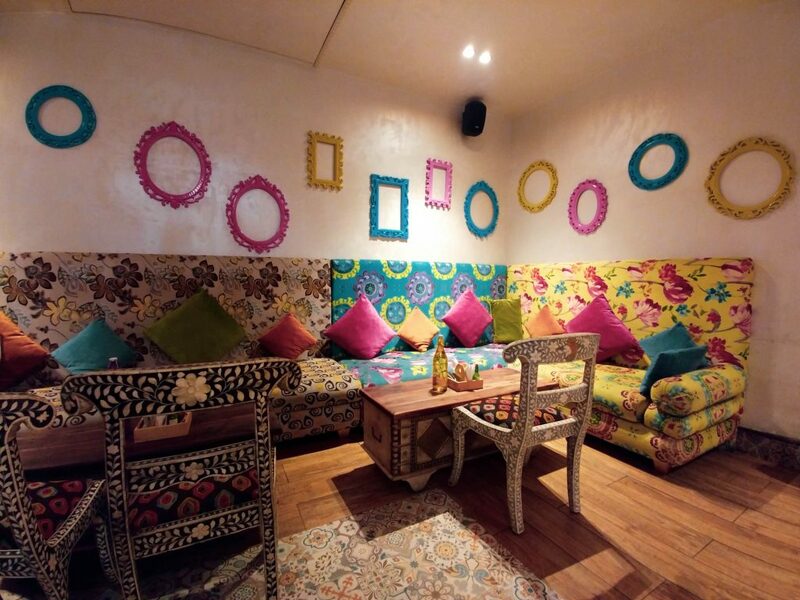 The decor is a mix of colourful prints and middle eastern motifs. 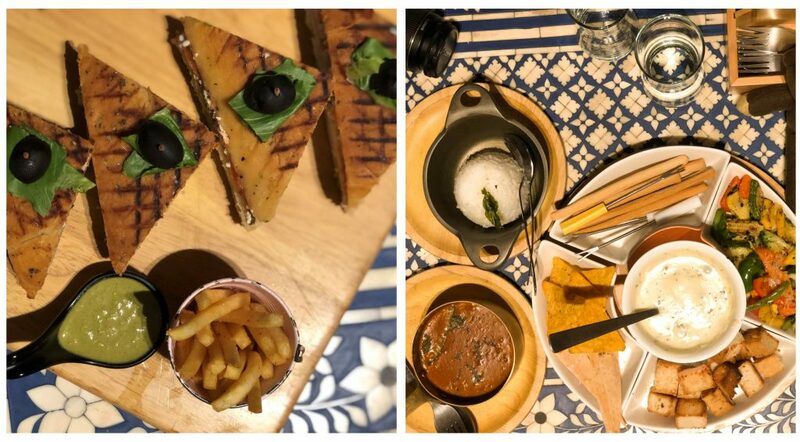 Mumbaiya Sandwich, Thai Laksa Curry, and Cheese Fondue. 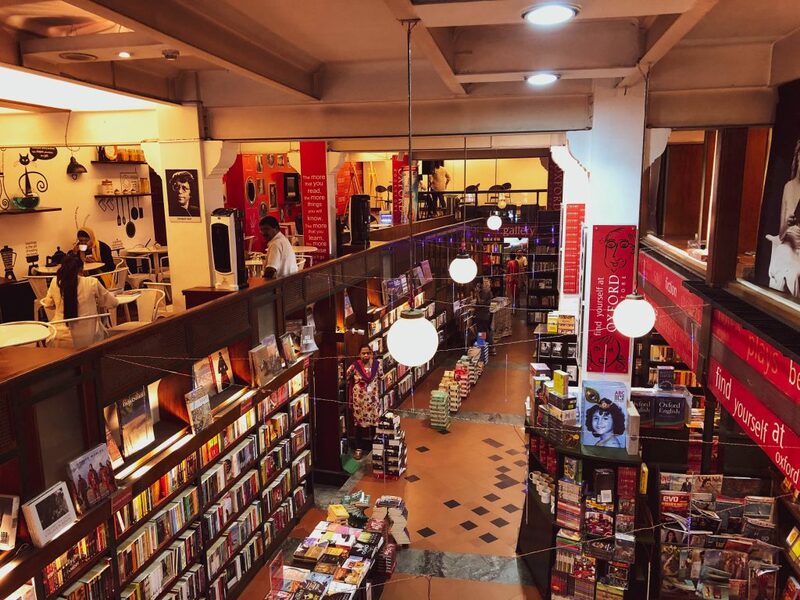 One of the remarkable places of Calcutta and a paradise for book lovers. 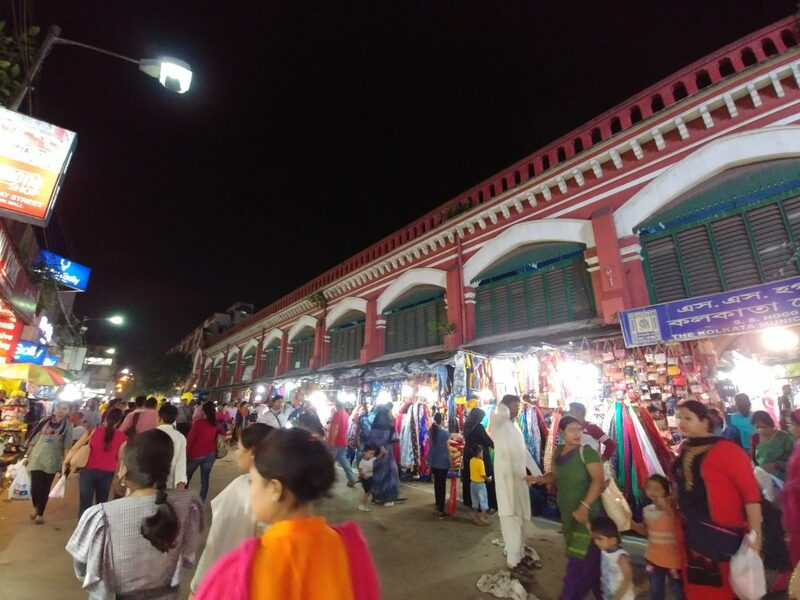 It was late evening by the time we reached, and it is known as the largest second-hand book street. 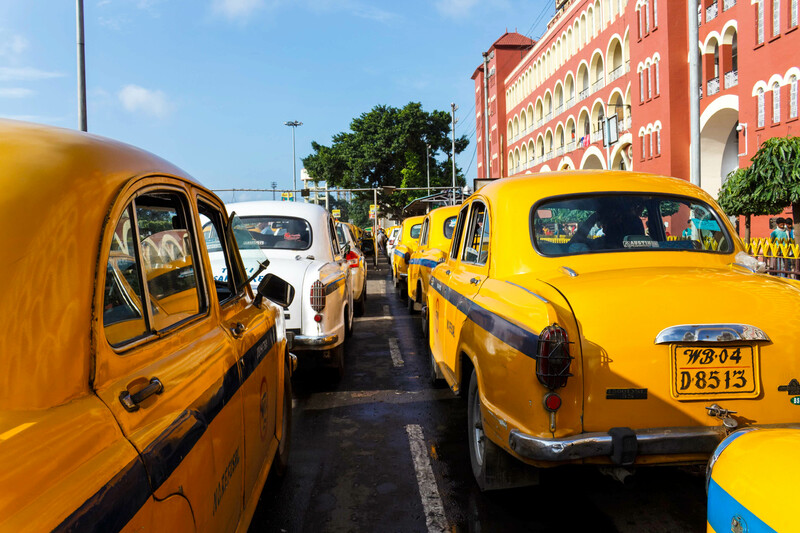 It is located in central Calcutta wherein a lot of buses and trams cater to the place. 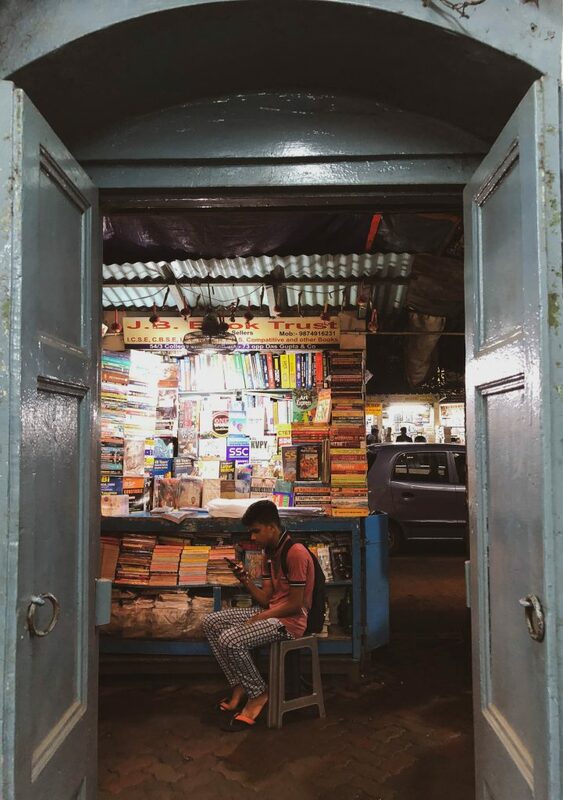 Calcutta is known for its obsession with literature, and the proof lies in college street. 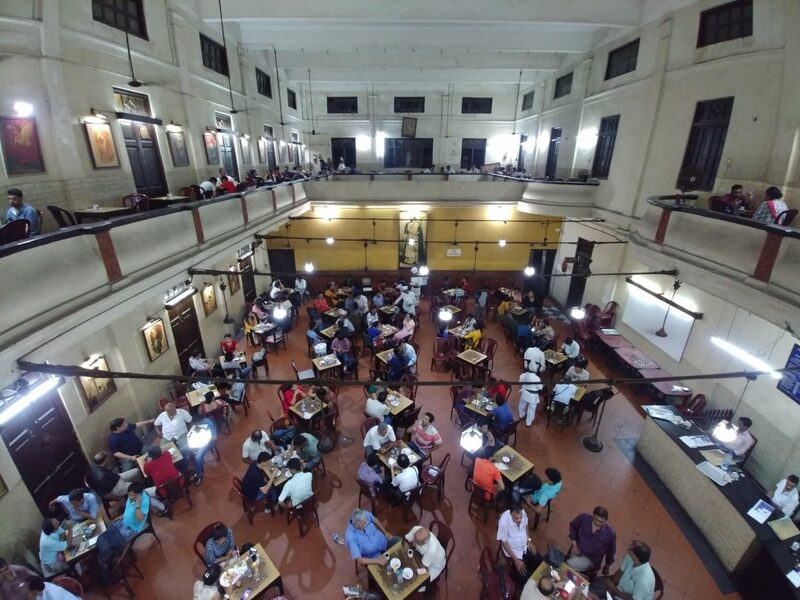 Moving past the Presidency College you will find the favourite adda for readers, authors and all walks of life- The Indian Coffee House. The environment is nothing like the one I visited in Bengaluru. 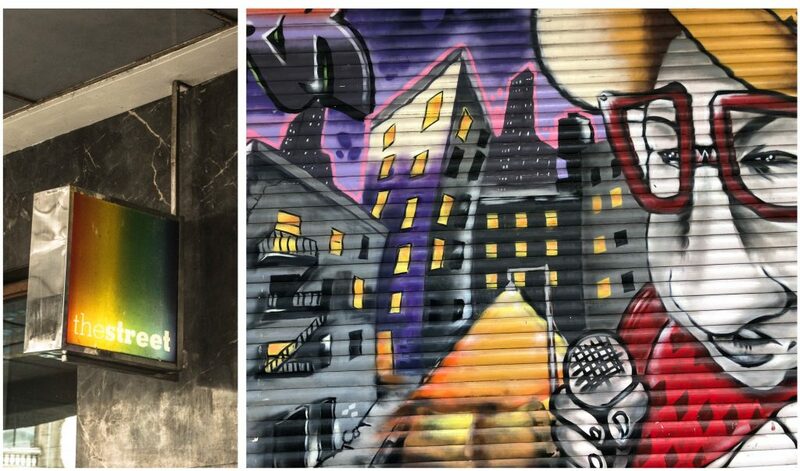 The place has graffiti on the walls and various bills pasted on the side, it is usually full of people and finding a table could take a while. I didn’t order anything at the place since the weather took a toll on me by the end of the day. I was not prepared for such kind of humidity and sweat! Our last thing on our agenda was to check out the Quest mall. No, we did not shop anymore because the mall has all the premium brands which are out of my aukaat. So, we went ahead and finished our dinner at the food court. I ordered my favourite dosa and Calcutta’s jhal muri. We were too tired to click any pictures, but if you’re planning to go there and happen to eat then do try out their south Indian stall, it is pretty good. DAY 2- I got used to the humidity! On day two we had a lot of places to cover, and we first started at the Park Street. We went straight to Flurys and had the traditional rum balls and a cup of coffee. 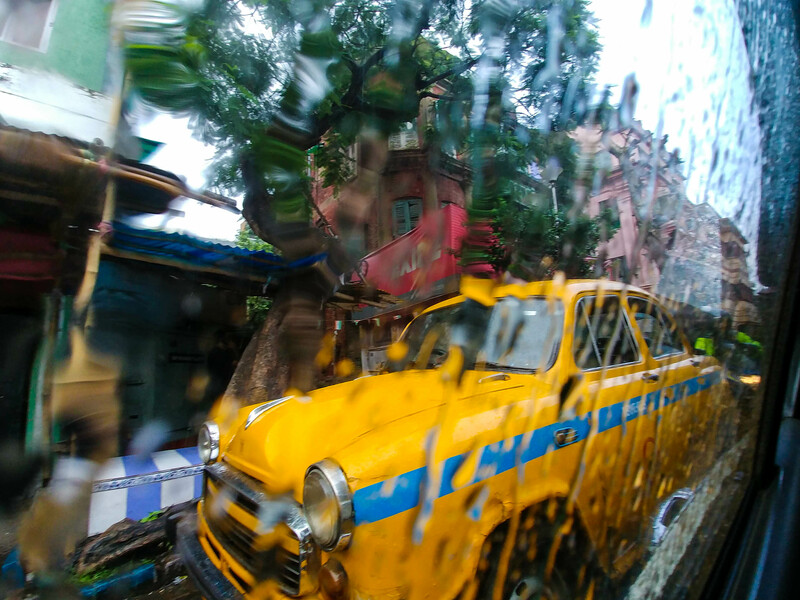 We sat by the window covered with starch linen curtains looking out at the passerby walking and enjoying the rain. The entire length of Park Street is dripped in lights, and it would be a sight to watch at night. The street is known as the “entertainment hub”, it has bookstores, bakeries, salons, cafes, pubs you name it, and it has it. 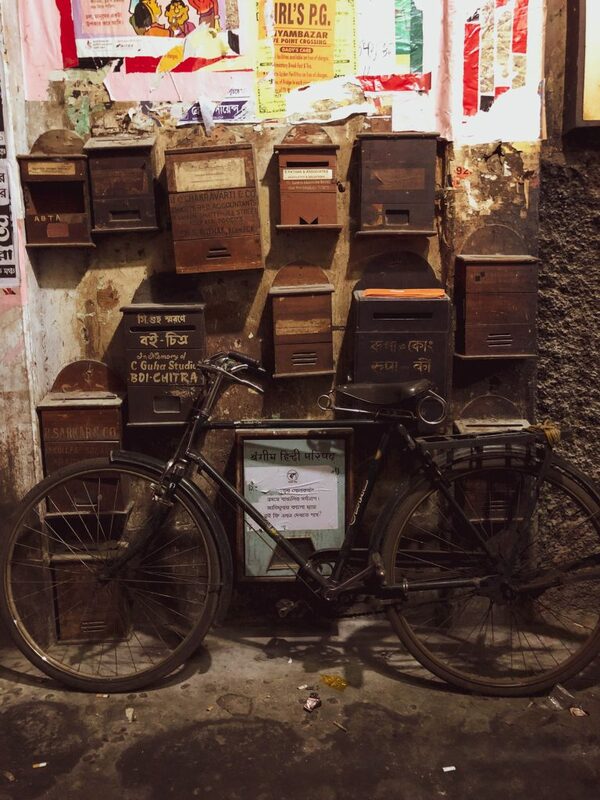 We walked along the lanes searching for city postcards as I am a big collector of them. Luckily we found it in the Oxford Book Store. The store also has a cute little cafe upstairs for people to sit and read their books while enjoying some snacks. It is unarguably the must-visit destination. The memorial is dedicated to Queen Victoria- the British Monarch. The place is well maintained and houses a museum devoted to Colonial times. 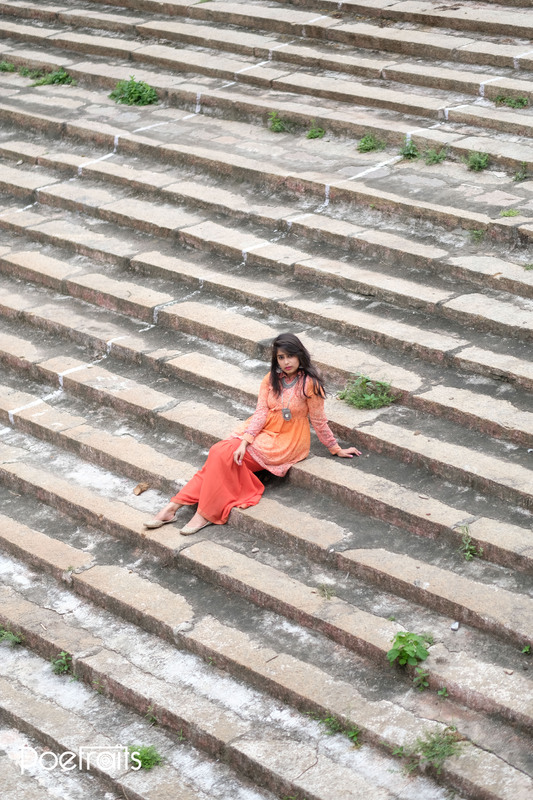 The architecture is splendid with marble stones and beautiful patterns. 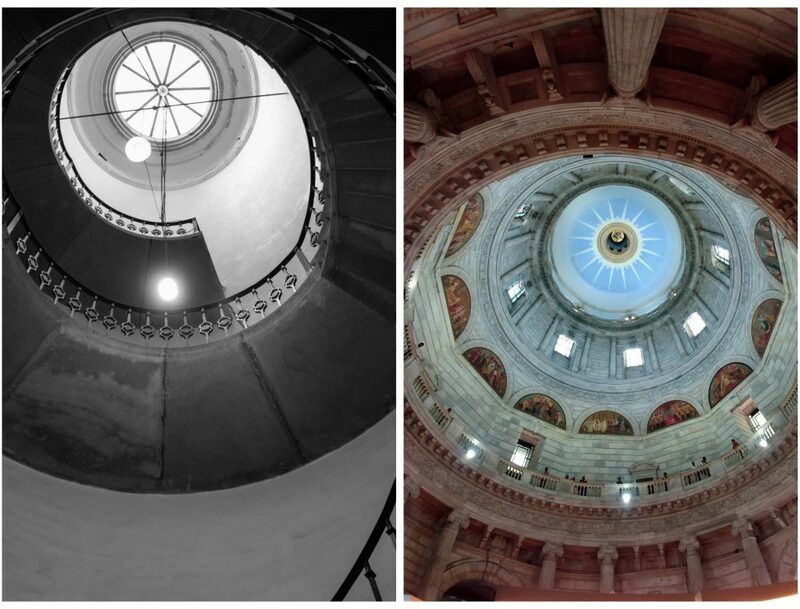 Next, we went to the second famous landmark of Calcutta- St. Paul’s Cathedral. 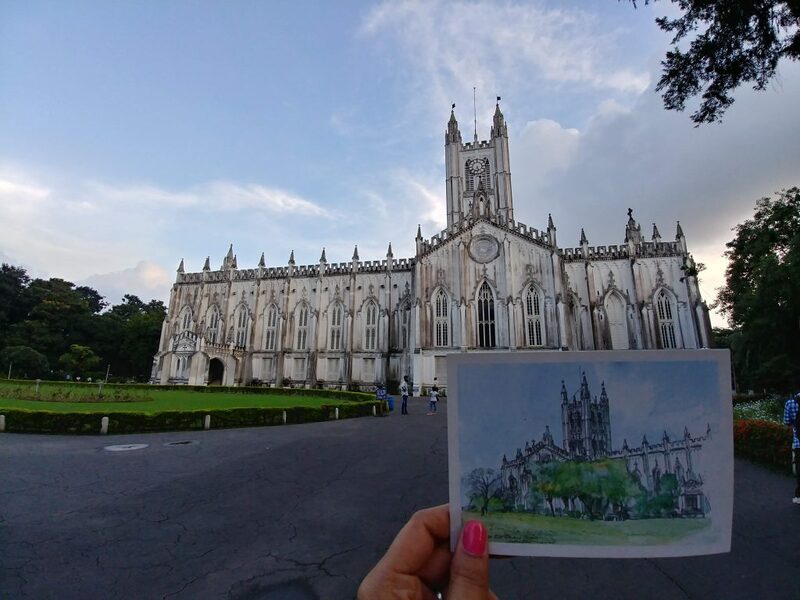 It is located beside the Birla Planetarium the cathedral stands tall with lush greenery in contrast with the white structure of the Cathedral. The entrance opens into a vast hall with wooden chairs and artwork on the walls. It was a last minute addition to our must visit places. 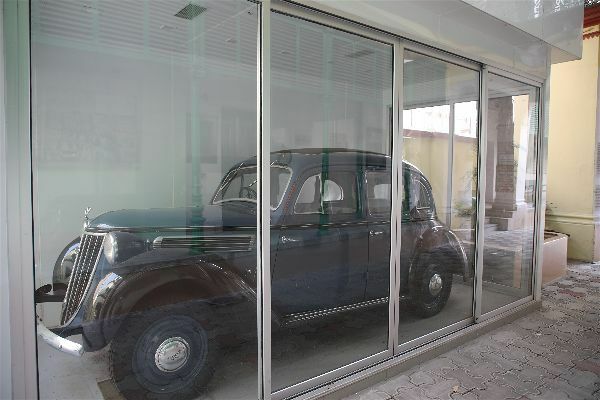 It is an ancestral property of Subhash Chandra Bose which served as an integral part of the leader’s life. The house is well stocked with artefacts about Netaji. The first thing you notice when you enter the premises is the iconic Black German Wanderer. 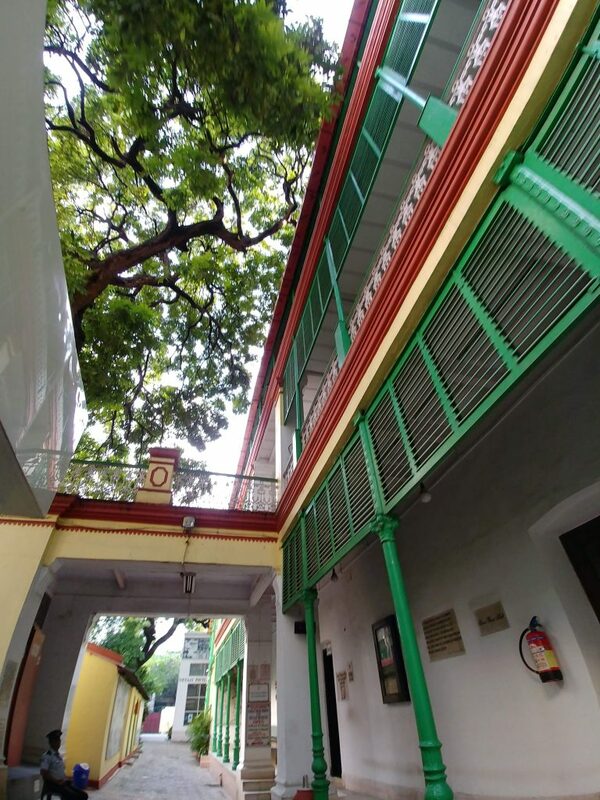 The ground floor is dedicated to a library and on the first floor is Netaji’s bedroom which is still well maintained. Standing right there where they once stood does transport back in time and makes you wonder about our freedom struggle history. As you make your way upstairs, there is a modern museum which houses Netaji’s clothes, photographs, videos and so much more which gives you an insight into his life. This market is a city in itself! 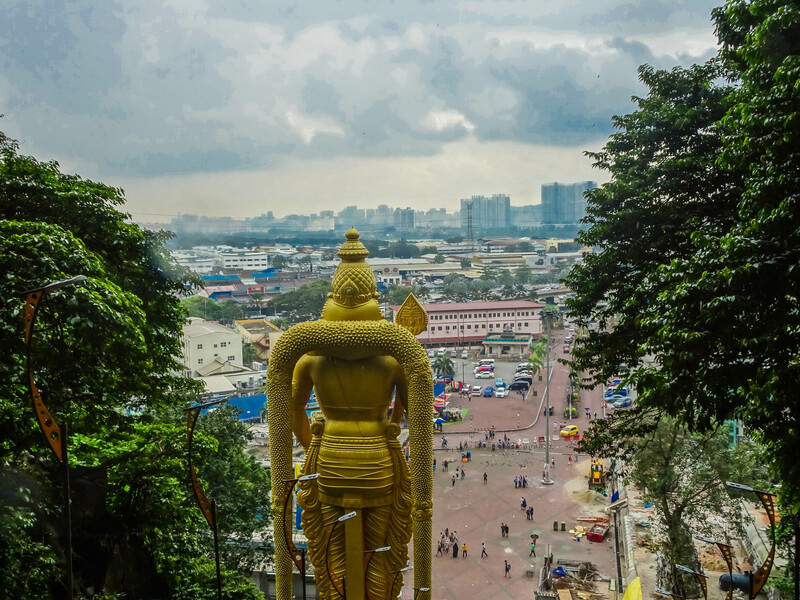 The Esplanade market is a shopper’s haven. I suggest you guys go in the afternoon because the market closes at 9 pm, but few stalls begin to close from 7 pm. Ended our day with the dinner at Cafe Mezzuna which is situated in South City Mall.